Estee Lauder are doing great things right now. As someone who can fully appreciate great branding and PR, I’ve loved watching them introduce the likes of Kendall Jenner into their marketing. 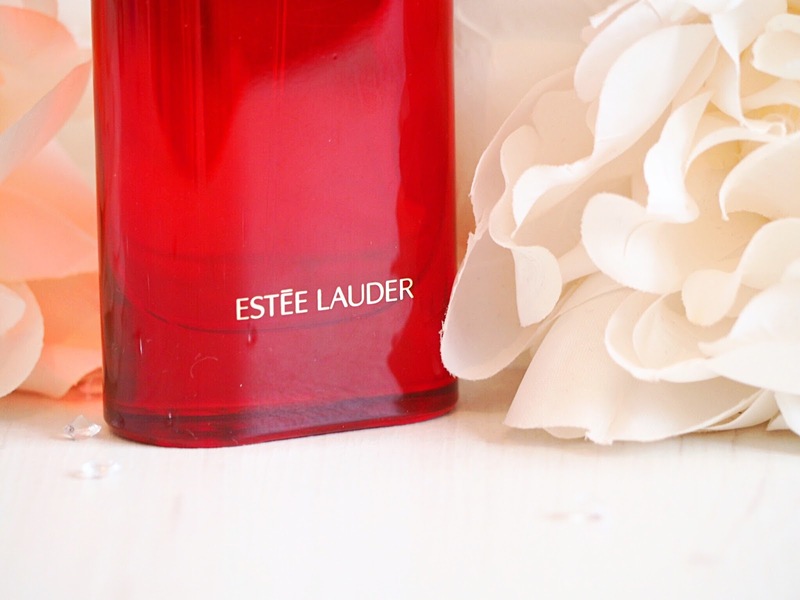 I’ve been using Estee Lauder products since I was a teenager. My Mum always taught me the importance of good make-up and skincare products, and she introduced me to Estee Lauder when I was about sixteen. She’s used their products throughout her life and she rarely strays from her staple make-up bag essentials. Naturally, I followed suit after having only seen her rely on their products and always achieve fantastic and beautiful results. I love that Estee Lauder products are timeless and classic. As a brand they ooze elegance and it’s something I feel is ageless. That said, the introduction of the likes of Kendall Jenner has opened up their products to a younger audience and I’m seeing more and more younger women start trying their products. Which I love because now my friends are finally listening to me when I swear by certain things in their collection! 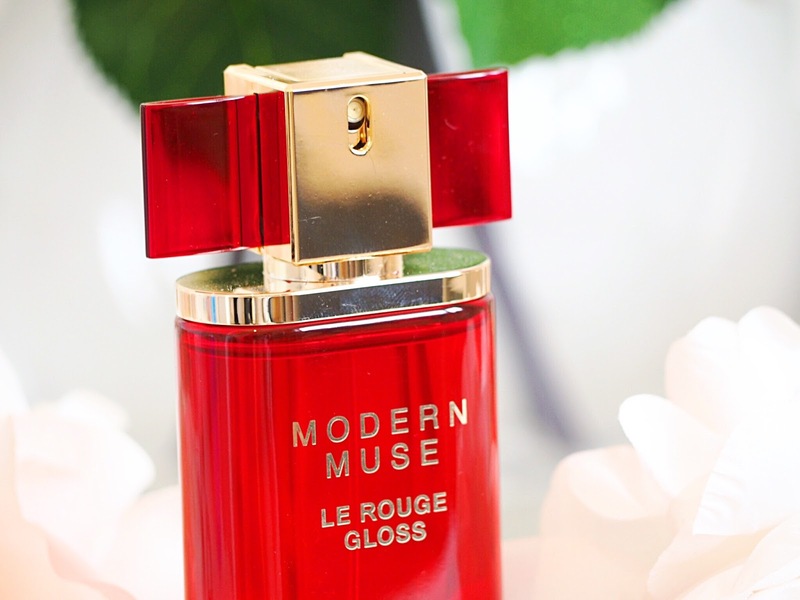 A new one for me has to be the Modern Muse Le Rouge Gloss perfume. It’s an eau de parfume spray which has captivated both me – and my mum! It’s a lovely floral and fruity scent with a rich woody undertone, meaning it’s got a musky linger that I love when it comes to perfumes especially as we enter the autumn. 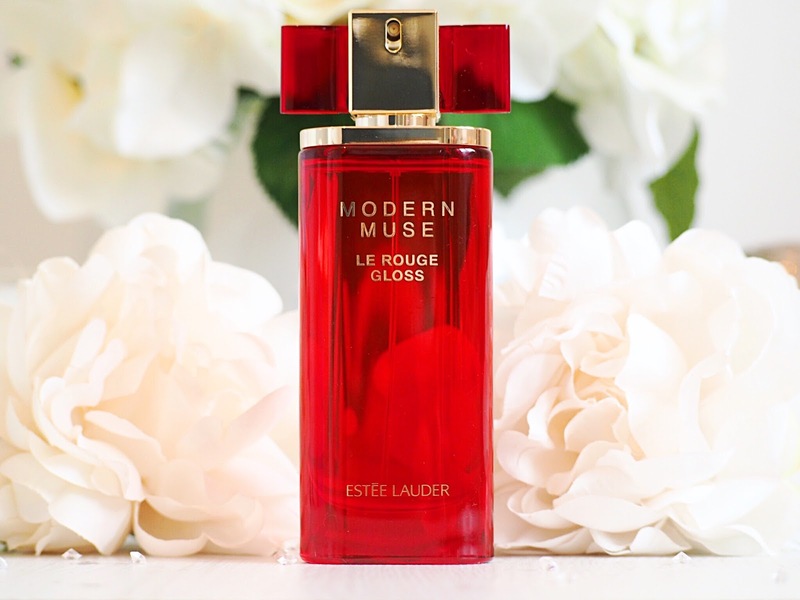 It’s sensual and powdery to wear and it’s got that classic elegance which to me is the tell-tale trademark of all Estee Lauder products. I like it because it’s more on the exotic end of a floral scent. But my mum likes it because it’s powdery and delicate. It’s funny how different people smell different things in the same scent isn’t it? It comes in a pretty and funky red bottle – which reminds me of Moulin Rouge, and the contrast of gold adds a naughty and classic edge. It also feels like the perfect bottle for autumn. I’ve really enjoyed trying different fragrances recently and this one is an easy to wear, everyday perfume with long lasting staying power. It doesn’t wear off after an hour and you can still smell it throughout the day. It’s got a sharp scent when first applied, that settles into a more musky smell as it adjusts to your skin. However the scent doesn’t change as it absorbs, which some perfumes do, and it retains it fruity exotic spark throughout. If you’re looking for something that’s perfect for autumn as the nights draw in, as the leaves turn gold and if you want something a little heavier, scent-wise, as we transition from summer to autumn, this is one for all ages. 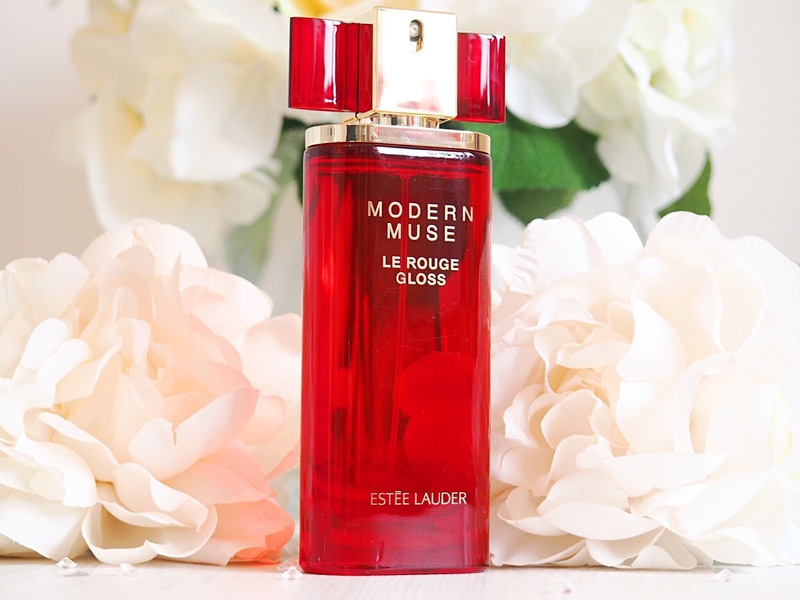 Modern Muse Le Rouge Gloss is another Estee Lauder fragrance hit and prices start at £46 for 30ml.